69" h x 84" x 24"
As the oscillating fan moves it raises and lowers the piece of blue insulation foam. A camera on the structure films this action with the backdrop of the lightbulb and plywood sheet. 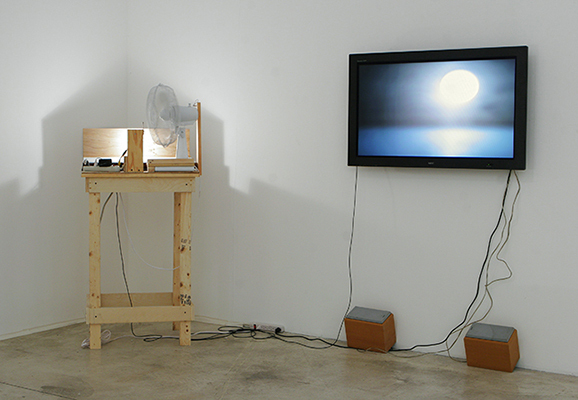 The end result is on screen footage of a gently rising and falling ocean at sunset. The wind from the fan creates periodic sound which becomes the sound of waves on the sand of the beach.